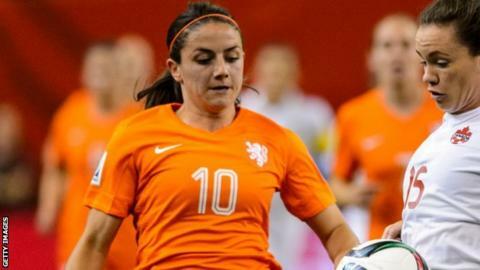 Arsenal Ladies have signed Netherlands international midfielder Danielle van de Donk from Swedish club Goteborg FC. The 24-year-old has made 39 senior international appearances and played in the 2015 Women's World Cup in Canada. Meanwhile, the Women's Super League One club have released winger Chioma Ubogagu after her contract expired. The 23-year-old scored six goals in 14 league appearances for Arsenal in 2015, after signing from Stanford University in the United States in February.